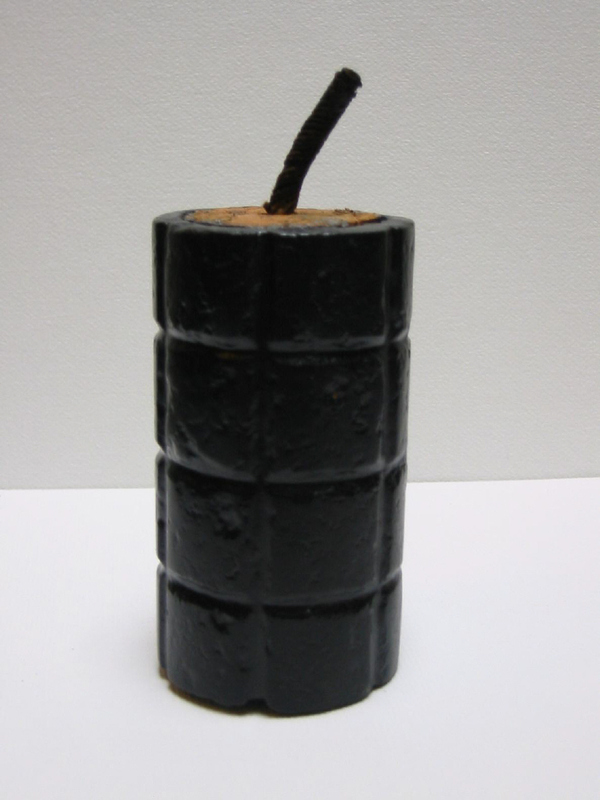 This cast iron grenade was made from 1915 on, in the North of France(Bethune). 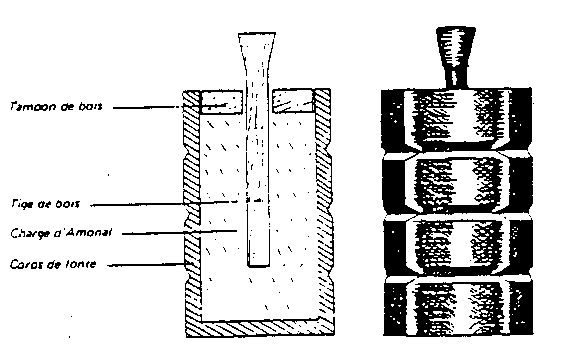 It's fragmented body had a wooden plug that closed the top, through which a Bickford safety fuze was placed. This fuze had to be lit by hand. 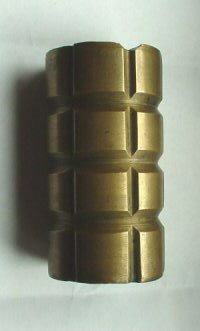 The grenade was named after its constructor. The photo of the bronze type came from Dave Sampson, this appears to have been found on a former WW1 battlefield in France.